Radiator Valves are essential to controlling the temperature of your radiators at home and control the temperature of a room by changing the flow of hot water to the radiator. The valve gradually closes as the temperature of the surrounding area increases, limiting the amount of hot water entering the radiator. This allows a maximum temperature to be set for each room. 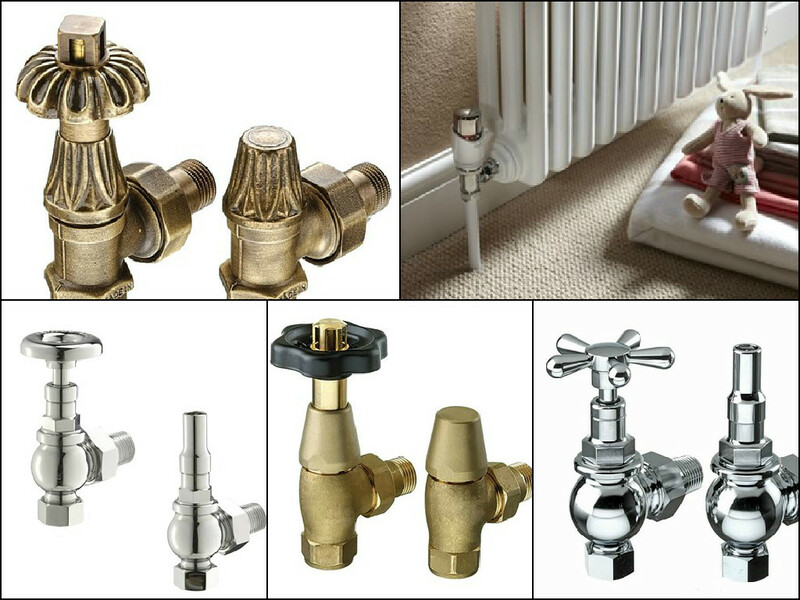 Our range of radiator valves include manual radiator valves, thermostatic radiator valves and traditional radiator valves. Manual radiator valves have no thermostatic control. The radiator temperature is controlled through the thermostat on your central heating system and the manual valve is only used to turn the radiator on and off. The maximum flow of hot water out of the radiator is controlled by adjusting the lockshield valve on the radiator outlet as for thermostatic valves. All of our manual radiator valves are sold as a pair which contains a wheelhead and lockshield valve. Thermostatic radiator valves control the temperature of the radiator via a built-in sensor, which automatically opens and closes the flow of water into the radiator, maintaining the room at the pre-set temperature. A manual valve can only control the temperature of the radiator regardless of the room temperature. Thermostatic radiator valves are recommended by the Energy Saving Trust and under the government’s efficient heating advice. All of our thermostatic radiator valves are sold as a pair which contains a thermostatic valve and lockshield valve. 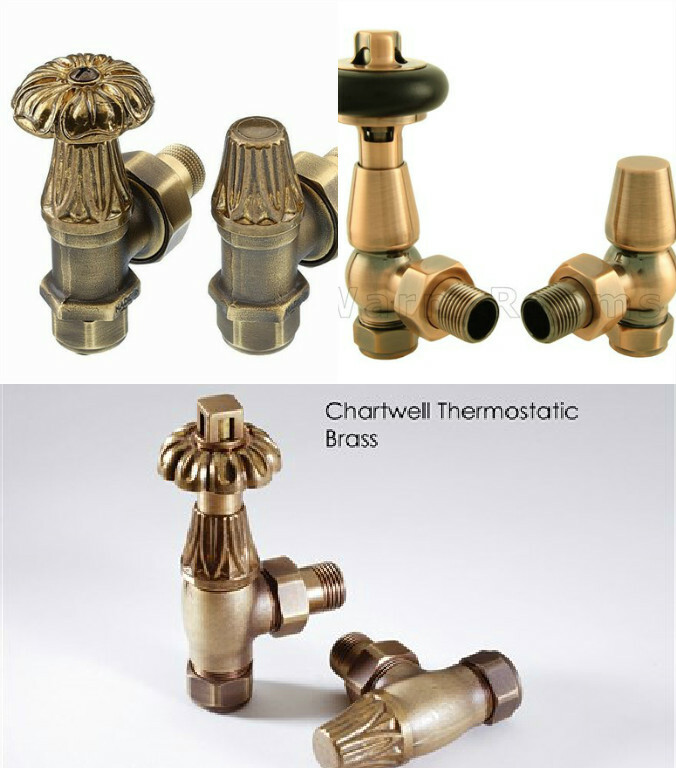 Traditional radiator valves will fit all radiators but are generally bought to compliment a traditional radiator such as our column radiators, cast iron radiators or traditional towel rails. What is the difference between manual and thermostatic traditional radiator valves? Manual radiator valves have no thermostatic control. The radiator temperature is controlled through the thermostat on your central heating system and the manual valve is only used to turn the radiator on and off. Thermostatic radiator valves control the temperature of the radiator via a built-in sensor, which automatically opens and closes the flow of water into the radiator, maintaining the room at the pre-set temperature. Here at Warmrooms not only do we stock an extensive range in Designer Radiators and Towel rails, we also stock all the accessories you will need to complete your purchase. Apollo… Designer radiators that wont cost you the earth. Apollo offer the very best in high quality designer Radiators and Towel Rails, Here at Warmrooms we stock an extensive range of radiators, towel rails, column radiators, horizontal and vertical radiators and many more from the Apollo range. Designed flawlessly with quality and style kept in mind, our room and bathroom radiator ranges are complimentary and enable you to choose the perfect product to match the style of every room in your house. Produced to the highest standard, these radiators will provide you with a service for many years with second to none in terms of quality and pricing. 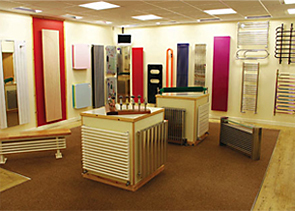 Why not come to our Gloucestershire based showroom to find your perfect Apollo Radiator. With ‘out of this world’ designs, you might think that the prices would be too but with prices starting from as little as £67.50 these radiators wont cost you the earth! Apollo bassano vertical designer radiator modern contemporary rectangular tubed range of radiators bottom connections – load bearing wall required contemporary vertical designer radiators suitable for modern living areas high output double radiators available – The Bassano comes in white as standard but is also available in a wide range of colours. The Apollo Modena horizontal aluminium radiator. The Modena is aesthetic, efficient and environmentally friendly as aluminium radiators have a low water content. Due to the Modena being manufactured from aluminium it heats up very fast. Available in five heights, 430mm, 580mm, 680mm, 780mm and 880mm – Bespoke sizes also available upon request. Only colour available is white. 5 year guarantee. Introducing the Apollo CH Ravenna traditional ball jointed towel warmer which is manufactured in Britain and comes complete with a 10 year guarantee.The brass tubing is chrome plated. The CH Ravenna Plus is available as central heating only, dual fuel (for optional summer heating via an electrical supply) or sealed electric only. Apollo Pavia tube on tube towel warmer modern minimalist design ideal for bathrooms, cloakrooms and even kitchens – Available in a choice of white or chrome, it comes complete with a 5 year guarantee. Apollo Bassano Low Level designer radiator freestanding modern contemporary rectangular tubed range of radiators bottom inside leg connections freestanding low level contemporary radiator ideal in front of windows or dwarf walls suitable for conservatories, attics, offices, showrooms and shops – The Bassano comes in white as standard but is also available in a wide range of colours. Aluminium is known for its low density and its ability to resist corrosion thats why its perfect when making every day items such as cans, alloys, Macbook Pro’s casing and of course..
Aluminium can be re shaped and manipulated without compromising its strength which makes it ideal for radiators of all shapes and sizes. Weighing less than 50% than alternative metals aluminium radiators are much easier to manufacture, transport and install making it a cheaper option than steel and Cast iron Radiators. If you’re looking for a more economical radiator for your home then our aluminium range is ideal. Aluminium is an excellent thermal conductor having an emissivity of 236w/m2k. Which basically means you don’t have to run it for a long time before it has an effect on the temperature in the room! Suitable for areas of a house thats occasionally used such as a spare bedroom and hallway. 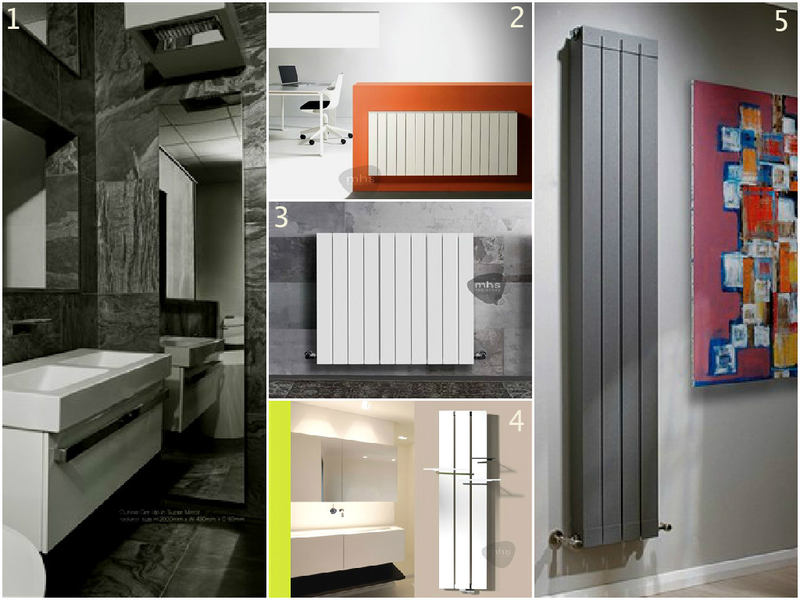 The design of aluminium radiators have changed in recent years. 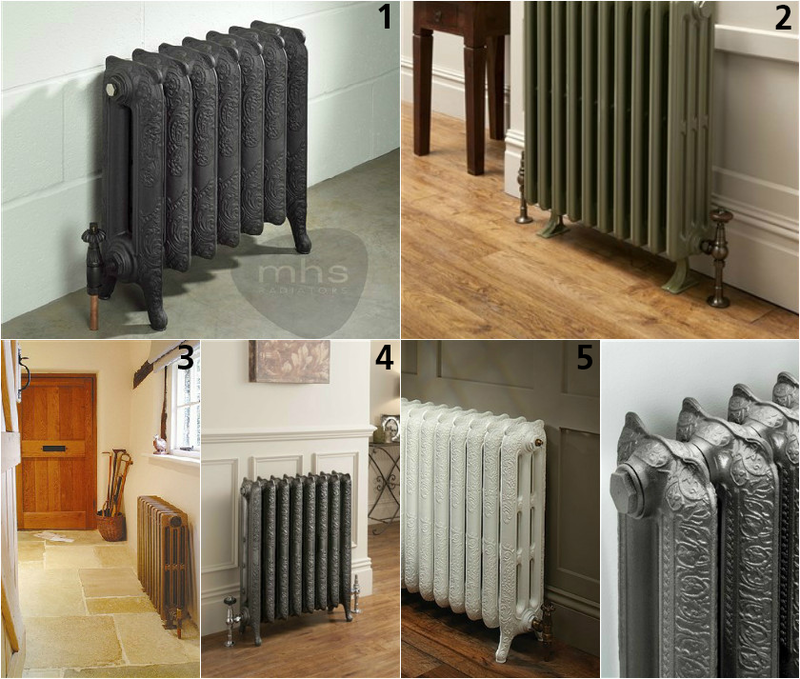 Originally the aluminium radiators that were available on the British market were sectional radiators, but now a huge selection of designer radiators have come into the market. Styles range from the classic MHS Decoral Horizontal Aluminium Radiator 581mm High to the more modern Vasco Beams Aluminium Vertical Radiator and Eskimo Outline Super Mirror Stainless Steel Flat Panel Radiator. Eskimo Outline is modular aluminium, high output radiator with a highly polished stainless steel front fascia panel. Outline radiators are the original flat panel design for lovers of clean lines, anti-mist, hard wearing and easily cleaned. Towel rails can be added for a twin purpose radiators. one for warming your room and the other for warming your towels. Vasco Zaros is a beautiful eco friendly aluminium radiator that is capable of adding both style and warmth to any room. Available in fine textured white and colour options. With the additon of optional towel holders and hooks this radiator is perfect for any room. The Decoral brings together the benefits of aluminium with designer style, to create a highly practical and beautiful heat emitter. Decoral is easy to handle during transportation, installation and subsequent redecoration of the room. For those who love column rads but don’t really have the space, Decoral is the futuristic, chic alternative. Vasco Beams is a Aluminium masterpiece which looks spectacular and produces a huge heat output. A choice of Square or rectangular towel bars are available, as are short and long towel rails which are finished in black, white or pigeon blue, all of which can be mixed and matched to suit. This modern and efficient radiator is constructed from aluminium which means it is lightweight. 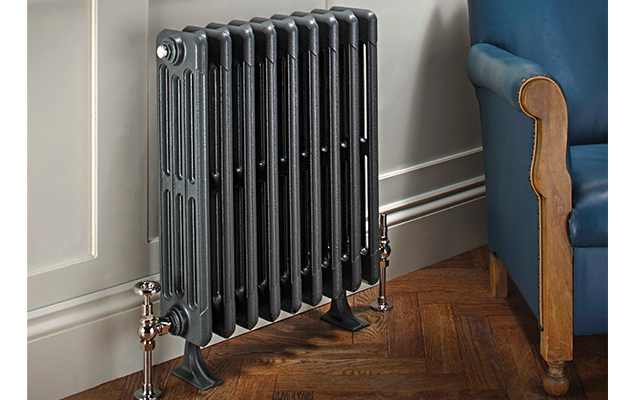 The Oscar Royale model is supplied with matching end panels, these create a flush smooth appearance to the radiator and accentuate the clean lines. The Oscar Royale is available from stock in Textured Light Grey, Textured Dark Grey, Black Gold, Polished Silver and Quartz Matt. Here at Warmrooms have a wide range of cast iron radiators for sale from our UK based showroom.with suppliers such as “The radiator company” “Apollo” and “MHS”. These traditional style radiators are floor mounted and come supplied with a wall tie to give added stability. Classically styled the cast iron radiators give a vintage look to any room making them the ideal radiator if you are giving your home a vintage style makeover. They’re designed with elegant integral legs and replicate the vintage style with a classic design that will stand the test to time. These new radiators are now more efficient and most of our products come with a 10 year guarantee for absolute piece of mind. Most of the cast iron radiators can be supplied as small as only 200mm wide (plus valves) so you can find a suitable option for even the narrowest of spaces. From victorian scrolled relief patterns to ornate designs georgian designs these radiators are perfect for a period restoration to add style to your home. Our cast iron radiators are generally supplied in either a black or white primer but many RAL colour finishes are available as well as a hand polished finish. Cast iron radiators do take a little longer to heat up but at the same time take longer to cool down when your central heating system is turned off. Remember – Cast Iron radiators are heavy so do lift correctly! The scrolled relief patterns and Victorian looks transform it from humble radiator to a stunning reproduction centrepiece. The high quality cast iron radiator will complement most styles of decor. The footed end sections are supplied as standard as are wall ties, although you can choose for the product to be wall mounted only. The epitome of traditional heating, cast iron radiators are a must for any period property/restoration, suitable for every room in the house. 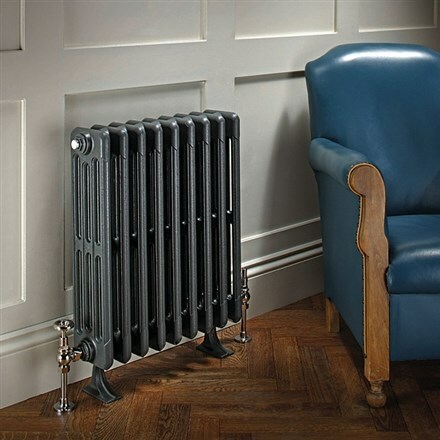 The round top sections of the Radiator Company Telford 2 Column feature a solid centre between the column, providing bigger outputs and a more robust style. Available as standard in a white primer ready to be painted. This traditional radiator gives both elegance & style to traditional houses. Perfect solution for replacement of traditional radiators or new build. The Firenze comes complete with wall stays and floor supports (floor supports adds 65mm to the overall height). 10 year guarantee. Suitable for living rooms, bedrooms, kitchens, hallways and dining rooms. The original detailed, ornate designs of the Trieste bring a touch of Georgian splendour to your home. Available in a beautiful, high lustre, polished finish. Created by hand in the UK, an initial matt black paint is used to protect hidden. Sold by section this classically ornate radiator features detailed engraved ears complete with footed end sections. Available from stock in White Primer ready to be painted or choose from a wide choice of RAL colours (lead time and price increases). These radiators are available from stock up to 10 sections in length, if you wish to have longer please also add the joining tool. Complete with a 10 year guarantee. Need a Radiator or Towel Rail for a small place? No Problem! Do you have a small space that a radiator or towel rail wouldn’t normally fit in? Here at warmrooms we have a range of stylish and affordable Radiators and Towel Rails that are perfect for those smaller bathrooms or kitchens. 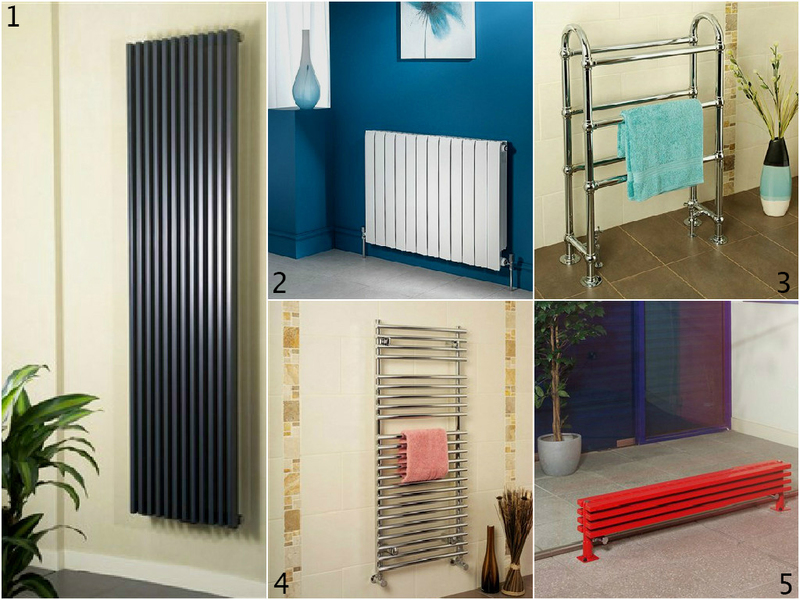 We have selected 4 of the best Towel rails and Radiators that are perfect for those smaller spaces. Manufactured from 100% stainless steel, the Sussex Cinder stainless steel electric heated towel rail, performs a stylish, year round solution for the drying and warming of your towels. Because they are manufactured from stainless steel the product will not rust or flake. Lifetime guarantee on the radiator, two years guarantee on the heating element. Manufactured from 100% stainless steel, the Sussex Newhaven stainless steel heated towel rail, performs a stylish, year round solution for the drying and warming of your towels. Because they are manufactured from stainless steel the product will not rust or flake. Now with the option of a basic adjustable element or the new cylindrical adjustable element which will allow you to control the temperature of the radiator, which will also save on your electricity cost (adjustable temperature can be set at between 30 – 60 degrees). Also available with an optional shelf/hanger accessory. Lifetime guarantee on the radiator, two years guarantee on the heating element. The Reina Bivano Stainless Steel heated towel rail. The Practical solution for small spaces in either your kitchen or bathroom. The Illusions collection of Stainless steel radiators from Reina offer the very latest in hand-made modular radiator construction, the most sophisticated finishing and fresh & innovative designs. Available in Polished Stainless Steel. Complete with a 25 year guarantee. 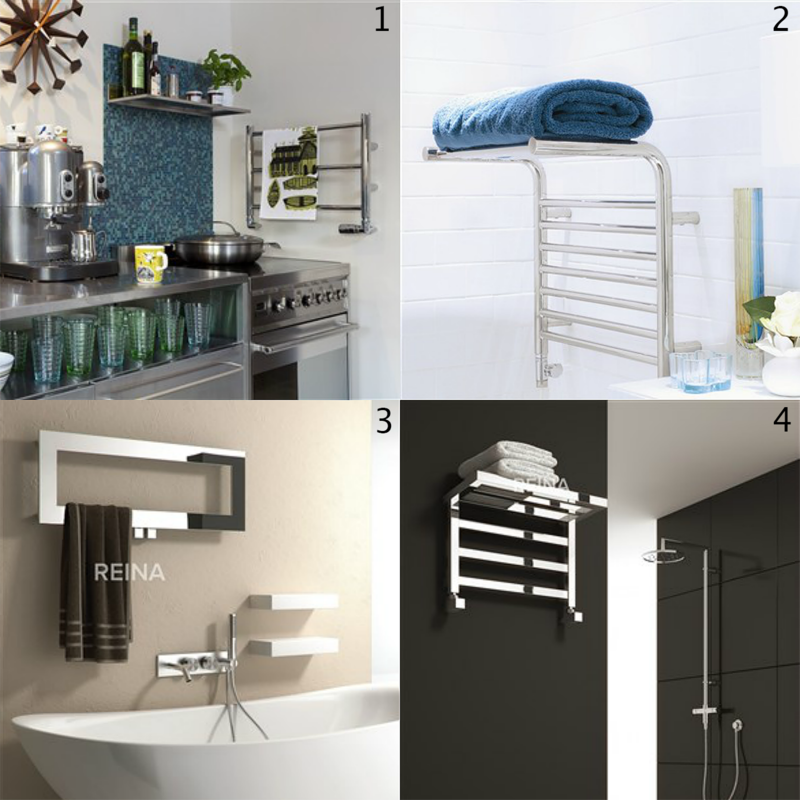 The Reina Elvina Designer heated towel rail with shelf. The perfect & practical addition to any bathroom or kitchen. Finished in highly polished chrome & available as central heating only. Complete with a 5 year guarantee.